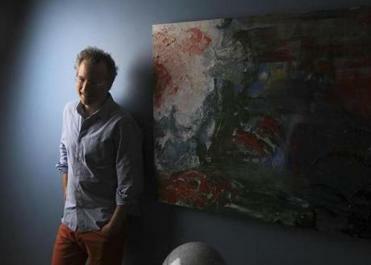 7:28 a.m. Ben Mezrich read the paper as his kids eat breakfast at their apartment in Boston. It was first thing in the morning, and author Ben Mezrich was losing a battle with his squirming 5-year-old son, Asher. “Don’t make my eye itch even more!” harrumphed Asher, flopped across Mezrich’s legs. He turned away as his dad hovered a tiny bottle of eye drops over his face. “I want Mommy to do it,” said Asher, hopping off his dad’s lap and onto mom Tonya’s. 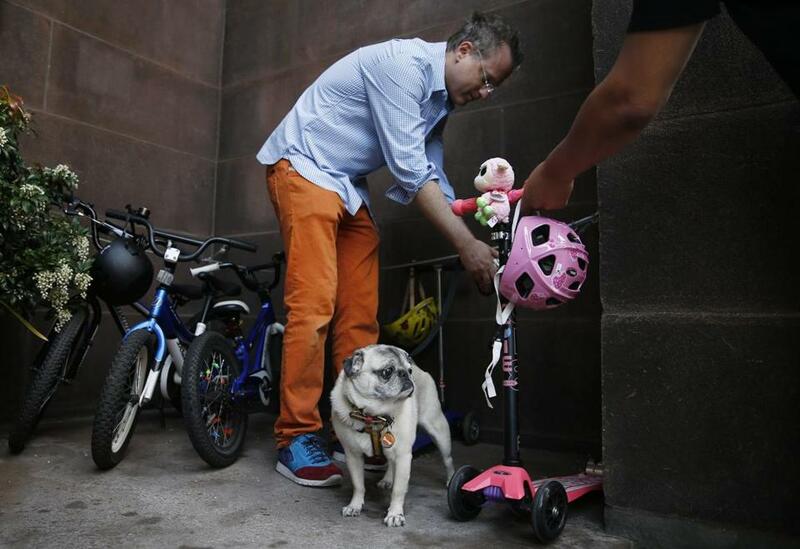 Without a minute to spare, Mezrich moved on to assemble his other charges — daughter Arya, 3, and the family’s 11-year-old pug, Bugsy — for the morning walk to school. “We’re like a military operation,” Mezrich said. The bustle of activity in the Back Bay penthouse only promises to increase with the release Tuesday of Mezrich’s latest book, “Once Upon a Time in Russia: The Rise of the Oligarchs,” the story of a battle among business titans during Vladimir Putin’s rise to power. Brett Ratner, director of “X-Men: The Last Stand” and executive producer of the upcoming “Black Mass,” has already optioned “Russia” for the big screen. Last week, in the days leading up to his book release, he offered a peek into his personal life, revealing that he’s a morning person (“by necessity”), an exercise loyalist, and, above all, a creature of habit. 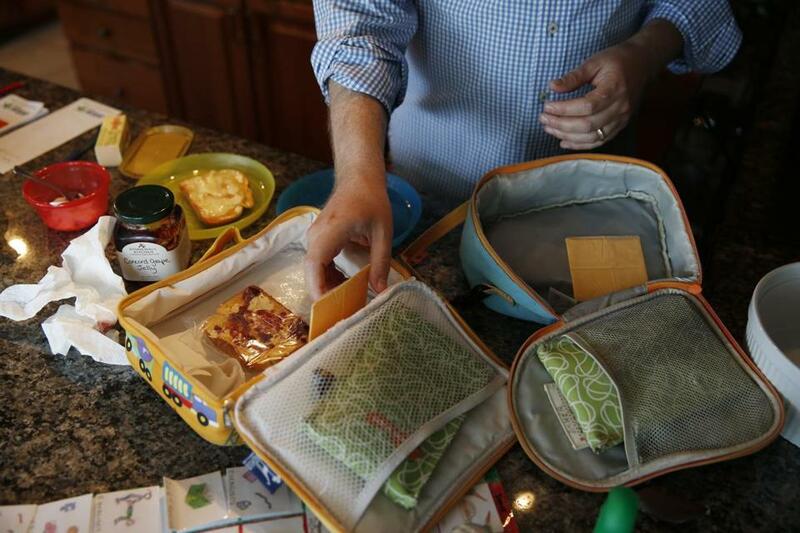 7:44 a.m. Mezrich packs snacks for his kids to take to school. His day started at 6:30 a.m., rousing the youngsters to get dressed. An hour later, he was in the kitchen, slathering strawberry jam on toast for Asher. “Do you want your toast now?” he yelled to his son. “Pack it!” comes the retort from the living room. Mezrich, dressed in a blue gingham shirt and burnt orange jeans, his blond hair spiked, moved to the brightly colored lunch boxes, filling them with pre-packaged slices of American cheese, roasted seaweed (“This is Tonya’s influence,” he said), and apples. “It’s madness here,” he said. The walk to school was only blocks from the couple’s Back Bay home. Along the way, Asher told Mezrich about a Lego Transformer he has seen at Barnes & Noble. 7:54 a.m. Mezrich tries to apply eye drops to his son Asher’s eyes to help soothe his allergies. At the school, he waved to fellow parent Greg Selkoe, founder of e-retailer Karmaloop, then took a long route home so Bugsy could do his business on his favorite tree off Exeter Street. Mission accomplished, Mezrich headed to his office apartment located one floor beneath his home. 8:14 a.m. Mezrich unties his dog, Bugsy, after walking his kids to school in Boston. But there was little time to dwell on his career path. Realizing he was late for spinning class at Flywheel, he grabbed his gym bag and ran out the door. On the way to the indoor cycling haven at the Prudential Center, he waved to another Flywheel enthusiast. “That’s Tom Werner’s son-in-law,” he said. Mezrich has become a total Flywheel convert, spinning five days a week. “I never thought I’d like the group exercise. It’s 45 minutes. You burn 1,000 calories and go 21 miles,” he said. He’s as serious about his daily routine as he is acutely aware of his lack of possessions, and ticks off the evidence: He rents both apartments. His BMW X is a lease. 8:24 a.m. Mezrich walked his dog Bugsy with his wife, Tonya. His one splurge, however, is travel, which is always first class. “I like to stay in nice hotels. I have a weak constitution,” he said. But if it were up to him, Mezrich would rarely leave his neighborhood haunts. “My favorite place in the world is the food court,” he said, strolling there from Flywheel with Tonya to have lunch at 10:30 a.m.
After waiting in the queue at Paradise Bakery and Cafe, where he eats every weekday, Mezrich ordered a salad with a scoop of tuna and a large Diet Coke. “Do you want to use your free meal?” the cashier asked, handing him the tray of food (the cafe is out of large cups, so the Diet Coke arrives in two cups). The receipt marked Mezrich’s 1,366th visit. “I’m a total creature of habit. I abhor change. Everything has to be over and over again,” he said. 9:29 a.m. Mezrich gets ready for a spinning class at Flywheel in Boston. Tonya listened, then pointed out that Mezrich had downed only one of the Diet Cokes. “Maybe you should get one small next time,” she suggested. 10:37 a.m. Mezrich and his wife, Tonya, share a meal at the food court at the Shops at the Prudential Center.